Apple has allowed a handful of television manufacturers to integrate the AirPlay 2 standard into a total of 19 television sets. AirPlay is Apple’s proprietary technology used to stream audio, video or pictures over the internet. The platform is effectively Apple’s equivalent to Google’s Chromecast technology. 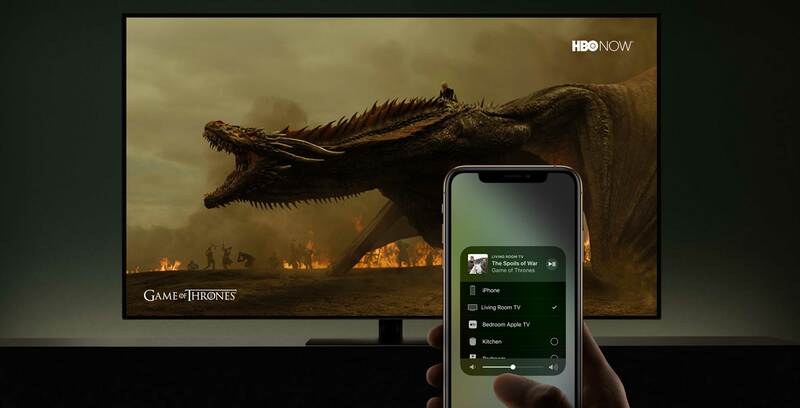 While Chromecast is a tiny receiver that goes to the cloud and pulls media down to a Chromecast device, AirPlay streams media directly from users’ iPhones or Macs. In essence, both platforms function similarly. As such, any Apple device can stream media or mirror its screen on a TV that has AirPlay 2. AirPlay-enabled TVs can also act as speakers in multi-room audio setups with AirPlay 2 speakers like the Sonos One. All of the listed television sets, excluding Samsung’s, are now able to integrate with Apple’s HomeKit connection platform so users can ask Siri to turn their televisions on and off. Only sets from Samsung, LG, Sony and Vizio plus the Apple TV set-top box support AirPlay 2. The full list of TVs is below.